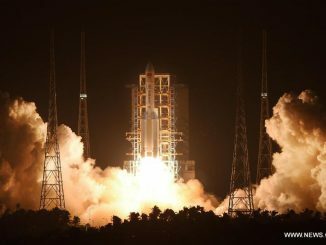 China launched a pioneering satellite mission Monday to prove the viability of quantum communications from space, an innovation that could led to a worldwide network to transmit hack-proof messages among military forces, financial institutions and multinational companies. 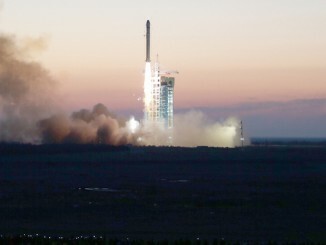 A Long March 2D rocket boosted the Quantum Science Satellite into orbit Monday. 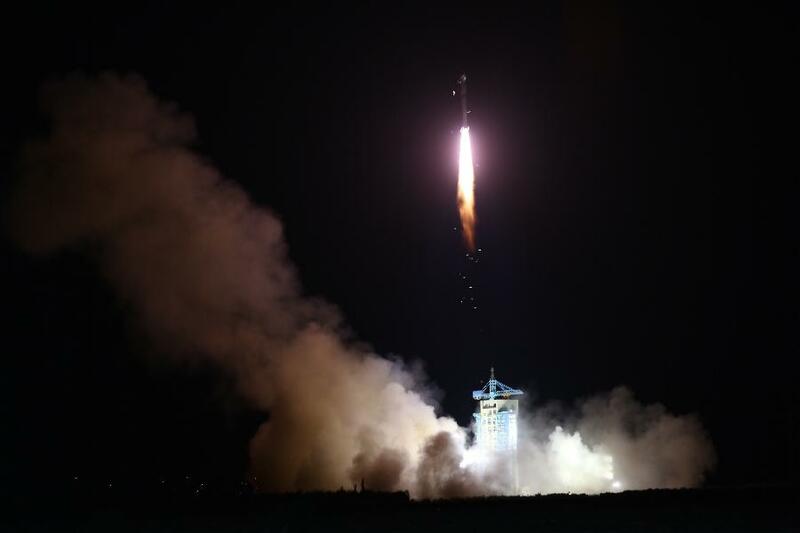 The 1,300-pound (600-kilogram) satellite lifted off from the Jiuquan space center in northwest China’s Gobi Desert at 1740 GMT (1:40 p.m. EDT) Monday, or 1:40 a.m. Beijing time Tuesday. Officials nicknamed the satellite Micius — also known as Mozi — after an ancient Chinese philosopher and scientist. The satellite went into orbit over Earth’s poles at an altitude of about 305 miles, or 490 kilometers, after deploying from the Long March 2D launcher’s second stage. 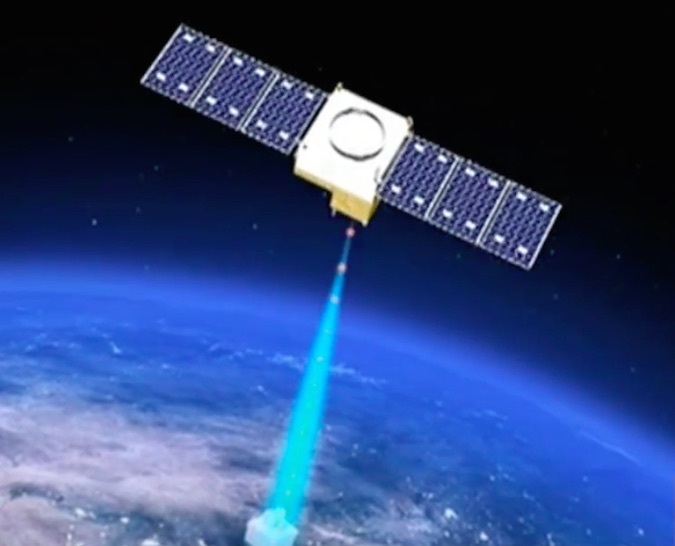 Kicking off a two-year mission, the Micius satellite will test out quantum communications over greater distances than ever tried on the ground. It will help establish an encrypted connection between ground stations in China and Austria with the help of scientists in both countries. The concept calls for an instrument aboard the newly-launched satellite to generate a pair of photons, tiny sub-atomic particles of light. Then a high-power telescope on satellite will beam one half of the pair to ground stations in China and Europe. The photons will be in a quantum state, meaning their properties depend on the other. Quantum entanglement has never been proven over such great distances before. Scientists on the ground will use the photons to create a secret key, allowing messages to be exchanged between Europe and China via conventional networks like the Internet. The key is needed to break the encrypted code. “The satellite can then establish a quantum cryptographic key, for example, between China and Austria to be the first worldwide secure quantum communication,” Zeilinger said in an interview with Spaceflight Now. The benefit of quantum communication is in its security. According to a report by Nature in July, the key is derived from the polarization of a string of photons, and any attempt to hack or tinker with the messages is immediately detectable. “Hack-proof” messages could aid military and government officials, lead to more secure banking services, and help protect personal and corporate intellectual property. “The idea of the satellite is that you use the quantum channel, as it is called, to establish a key between China and Europe, a secret key which is known only to the two players … And then they can use it to encode and decode a message, and that encoded message can then be sent by any means, like the Internet or whatever you want,” Zeilinger said. 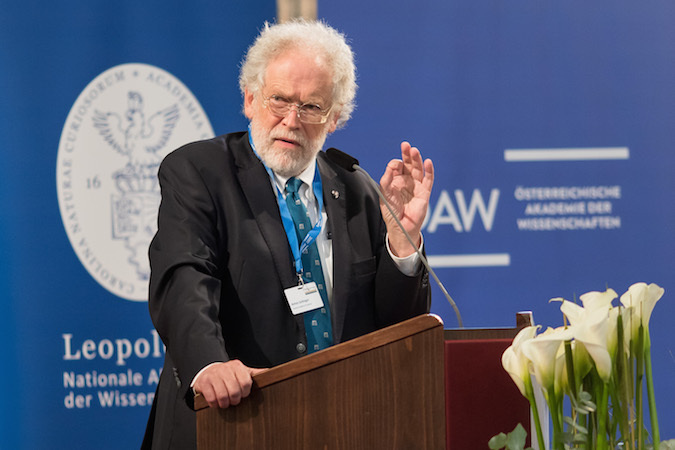 Spaceflight Now members can read a transcript of our full interview with Anton Zeilinger. Become a member today and support our coverage. Pan Jianwei, the Chinese leader of the Quantum Science Satellite project, was a graduate student under Zeilinger in the 1990s. Pan recruited his former teacher and adviser to lead the European side of the mission, which includes several ground stations that will connect with partners in China. Pan said one of his biggest worries about the mission is ensuring the technology aboard the satellite all works. Some of the equipment has never flown in space before. The technology has tight tolerances, and the telescopes on the satellite and on the ground must be precisely pointed as the craft flies overhead. Under the properties of quantum theory, the pair of photons should remain entangled over the 4,600-mile (7,400-kilometer) distance from Vienna to Beijing. The Quantum Science Satellite will try to prove it. 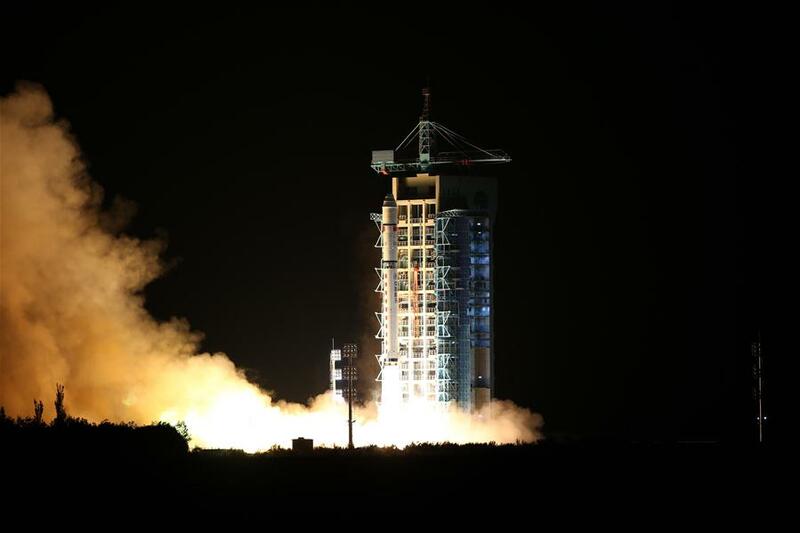 If the experiment works, Chinese scientists hope to launch a fleet of satellites to create a global quantum communications network. Companies in Europe, China and the United States already use quantum communications in a limited short-range capacity through fiber-optic cables, and Pan said China is working on a terrestrial quantum link between Beijing and Shanghai. Zeilinger, who is now president of the Austrian Academy of Sciences, expects quantum communications could lead to breakthroughs in the way people and companies send messages. 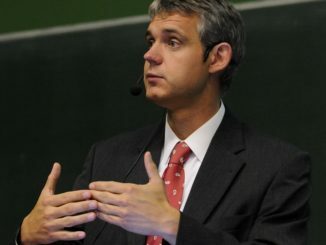 “I’m personally convinced that when you look at the development of quantum computation and quantum communication, and then you look at the huge efforts which have been done in many countries now, including the U.S., I’m convinced there will be a quantum Internet someday, and there will be quantum computers which will be connected by quantum teleportation,” Zeilinger told Spaceflight Now. Quantum teleportation involves replicating the properties of one photon and applying them to another particle in a different location. In the case of the Quantum Science Satellite, Pan’s team plans teleportation experiments by sending signals from the ground to the spacecraft. “We will be able to transfer the quantum state of a single particle from the ground station to the satellite at a distance of about 1,000 kilometers (600 miles),” Pan said last year in a Google Hangout session hosted by Physics World. The Quantum Science Satellite will also conduct communications experiments within China between ground stations in Beijing and Urumqi. The experimental quantum communications satellite is the latest in a string of Chinese research missions. China sent a dark matter probe into orbit in December 2015, becoming the country’s first dedicated space-based astrophysics observatory. The recoverable Shijian 10 capsule launched in April with 19 experiments, including a groundbreaking investigation that showed mammal embryos can develop in space. The craft landed back on Earth after nearly 13 days in orbit. Later this year, China plans to launch the Hard X-ray Modulation Telescope, a dual-purpose satellite designed to scan the sky and discover new X-ray light sources, while carrying out pointed observations to study black holes and neutron stars in detail. Researchers are developing the missions — the most ambitious space science projects in China’s history — in parallel with the country’s more well-known human spaceflight and rocket programs. China’s second human-rated space lab, named Tiangong 2, is scheduled for launch next month from Jiuquan. Two astronauts aboard the Shenzhou 11 capsule will launch as soon as October to dock with Tiangong 2 for a 30-day mission. The heavy-lift Long March 5 rocket is also scheduled for its maiden flight before the end of 2016, giving China the ability to launch a sample return mission to the moon next year and large segments of the country’s planned space station in the early 2020s.